This Engagement Session image of Kyle & Samantha remains to be one of my favorites of all time. When one of Sam's cousins spoke to me about using an image so her husband could create a surprise wedding present, I was super excited... But you can imagine why I about DIED when I saw THIS at their wedding gift table! Breathtaking! 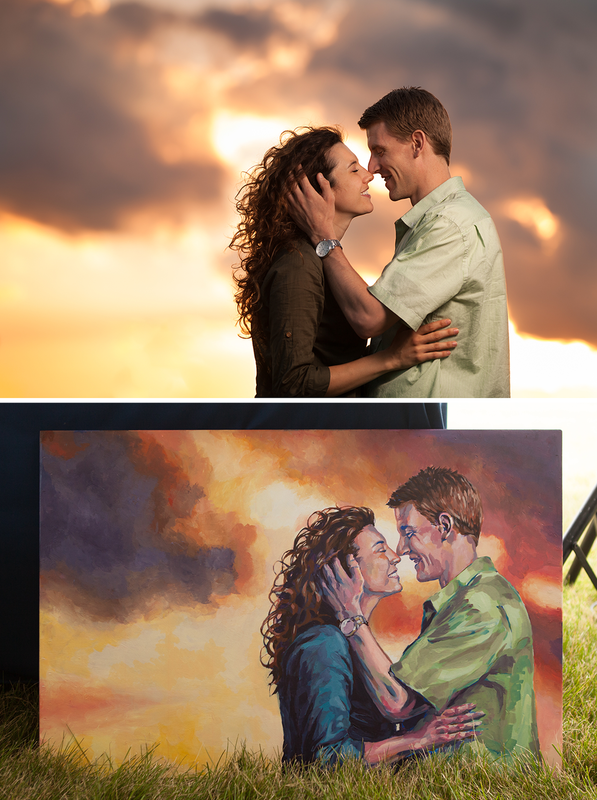 The gorgeous colors and artistry in this hand-painted canvas for the couple nearly brought tears to my eyes. How special to see one of our images painted! I love these little reminders of how meaningful photography is. Capturing moments in time for amazing people is the best job ever.